Nabil Ansari was an IILJ Scholar from 2013-2016. 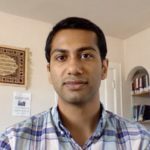 In addition to obtaining his JD from NYU Law in 2016, he completed his PhD in Political Science from the University of California, Berkeley in 2017. He has experience working as a Research Assistant at the National Center on Addiction and Substance Abuse at Columbia University, as a Research Assistant for Professor Richard H. Pildes and Professor Richard B. Stewart during his time at NYU, and as a Summer Associate at O’Melveny & Myers LLP.